Musical memory is the ability to remember musical passages whether it be a melody, a chord progression, a rhythm pattern or a song arrangement. According to research our musical memory is encoded in a different part of our brain to language so needs to be developed. They also found that both sides (left and right hemispheres) of our brain are used when storing musical memories but it seems the left side is of greater importance as discovered by Wilson & Sailing in 2008. One interesting finding was left-handers were found to have better short term musical memory. Did Hendrix have an advantage? Memory plays a critical role mostly because it frees up the musician to be more expressive. If you are putting all your energy into trying to remember what the next note, bar or phrase should be there is little left for expression. A good memory also allows you to learn at a faster rate. For example if you memorise scales learning melodies becomes easier because most melodies revolve around scales. The same can be said for chord patterns, song arrangements, cadences and so on. Musical memory is mostly about pattern recognition. When I was a teenager I learned 12 bar blues for the first time. At the time I had no idea what I was learning but it soon became apparent that it was a template to most blues and early rock n roll. Once I understood this pattern I was able to easily recognise a song that matched this pattern. When you learn a new song look for the patterns. You will be surprised how many so called original songs are based on well known songs. Pop songs almost always match a familiar pattern. 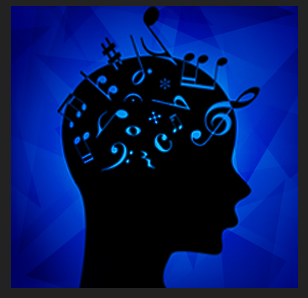 Here is a website where you can do some musical memory training but its best to work with a teacher as they will be able to quickly identify the areas you need to develop.